Trump and Congress are in a particularly tense period, with little more than a week since the last shutdown that caused some 800,000 federal employees to go without paychecks and shuttered nine federal agencies. While the government is open now, it could shut down again in 10 days if the president, the Democratic-controlled House and the Republican-controlled Senate don’t come to an agreement on border security, which Trump demands must include billions of dollars for a wall along the southern border. 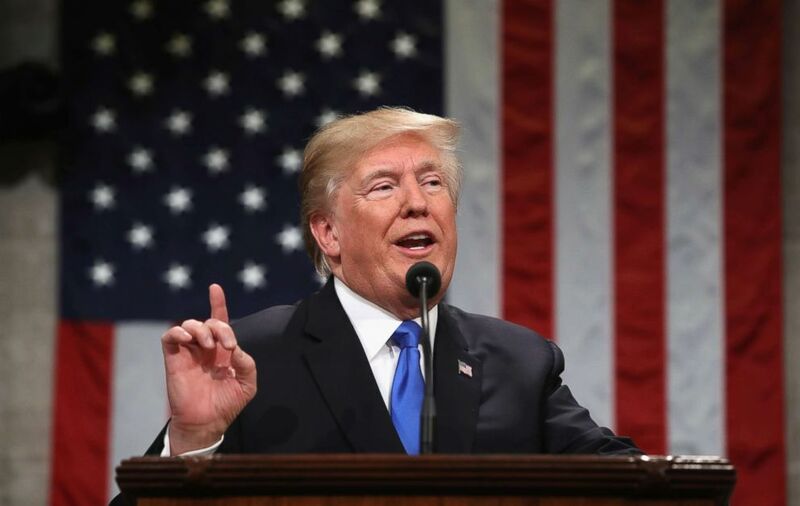 Trump warned on Sunday that if Democrats and Republicans can’t strike a deal to fund the government by the Feb. 15 deadline that includes wall funding, he could go it alone by declaring a national emergency, though Republicans have warned against it. But White House counselor Kellyanne Conway told reporters at the White House Tuesday that the president will express to lawmakers that he prefers they appropriate the funds he is demanding for securing the border, rather than forcing his hand to take unilateral action. The shutdown left more Americans blaming Trump and the Republicans in Congress than House Speaker Nancy Pelosi and the Democrats, 53 percent to 34 percent, according to recent ABC News/Washington Post polling. The president, according to a senior White House official, is expected to discuss immigration in his speech along with other topics seen as key parts of his agenda: middle-class American workers, improving infrastructure, lowering the cost of health care and prescription drugs, and national security. Trump will speak before the 116th Congress, a much-different audience from last year when the Senate and House were controlled by the president’s own Republican party. This year in the House, Democrats hold 235 seats to the Republicans’ 199 seats. Republicans hold 52 seats to the Democrats’ 47 seats in the Senate. The pillars, which didn’t come to fruition in Congress, included a pathway to citizenship for “Dreamers,” the young undocumented immigrants previously protected by the Deferred Action for Childhood Arrivals policy ended by Trump last year, a wall on the southern border, an end to visa lotteries and a limit on family immigration sponsorships. Conway also confirmed to reporters that President Trump will be using his address to outline a strategy for ending HIV transmissions in the U.S. by 2030. This year, the speech likely will be even more targeted as meetings are underway between the Republicans and Democrats on the exclusive committee charged with negotiating a bipartisan border-security funding proposal. Trump also is expected to hit on the economic woes of working-class Americans — a major campaign platform of 2016 and also a focus of last year’s speech. He’ll narrow in on trade deals, like the one his administration is working out with China after trading tariffs over the last few months, and urge Congress to approve the United States–Mexico–Canada Agreement, according to a senior administration official. Trump plans to discuss infrastructure, which he asked Congress to generate $1.5 trillion for in last year’s speech, health care and the high cost of prescription drugs and national security, said the White House official. The president will specifically address the political standoff between Venezuela’s opposition leader Juan Guaido and President Nicolas Maduro. Who will give the Democratic response? Stacey Abrams, the first African-American woman to be nominated for governor by a major political party, will add another historic first to the list attached to her name when she delivers the State of the Union response on behalf of Democrats. 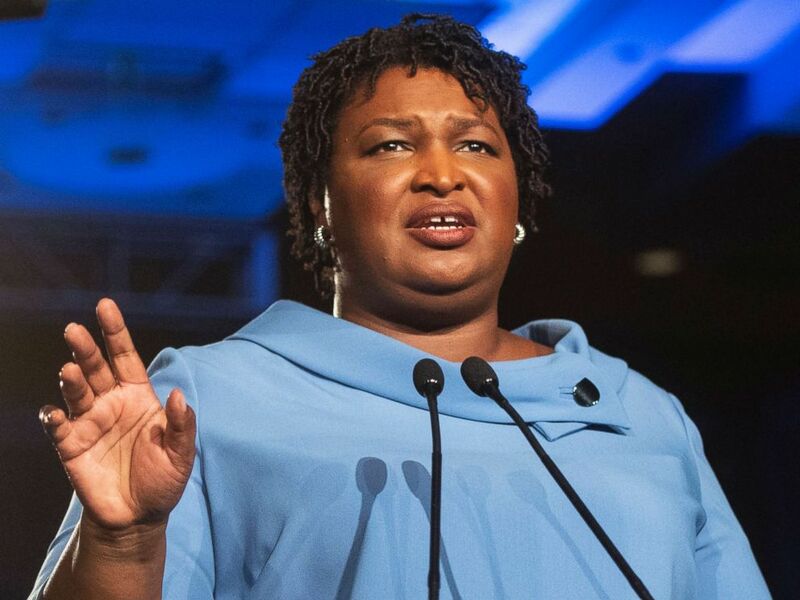 And even though she lost the tight race she ran for Georgia governor last November, Abrams was nevertheless selected to be the face of the party in a speech that will be seen by millions nationwide — a testament, experts said, to the power Democrats believe Abrams holds to connect with a diverse electorate in a moment of American politics increasingly enveloped by the complexities of gender and race. Moreover, in the aftermath of reports of racist photos involving Virginia’s Democratic Gov. Ralph Northam, Abrams’ words will increasingly be in the spotlight. “It’s crucial for the Democratic Party at this point to decide what sorts of voices they want to represent and what sorts of inroads they want to make as far as the party being optimally inclusive,” said Jamila Michener, a professor at Cornell University who studies racial inequality and electoral systems. What’s different from last year? The audience will be bluer and less red, but on the heels of a November election that brought in a historically diverse Congressional class, Trump will be delivering his address to a House chamber filled with more women and people of color than ever before. To acknowledge this historic diversity, many lawmakers will be wearing white, a nod to the women’s suffrage movement. House Democratic Majority Leader Steny Hoyer is planning to hand out white lapel ribbons for his male colleagues to wear in solidarity with the women wearing white. Last year, in an effort to protest Trump’s policies, 14 Democrats boycotted the address. So far this year, only five Democrats have publicly announced their decision not to attend, including Georgia Reps. John Lewis and Hank Johnson, as well as Oregon Rep. Earl Blumenauer. Many of the diverse freshmen House Democrats are using their attendance to make political statements. New York Rep. Alexandria Ocasio-Cortez teased the announcement of her guest, Ana Maria Archila, in a Twitter post, showing a pin she bought for Archila that reads “Well-behaved women rarely make history.” In September, Archila confronted then-Sen. Jeff Flake, a Republican from Arizona, about sexual assault on an elevator on Capitol Hill during Supreme Court Justice Brett Kavanaugh’s Senate confirmation hearings. Attention from the video of the encounter led Flake to temporarily hold up the vote for Kavanaugh and ask for an FBI investigation into allegations of assault.